Why Choose Chelmer Valley Sixth Form? Challenge – we challenge our students to be the best and do their best. Students are expected to work hard and will be rewarded for their hard work with good grades that provide the best possible foundation for further education / workplace. Vibrant – the Sixth Form is a vibrant one. Students are involved in lots of extra-curricular activities (football/ paired reading/ performing arts). Students are provided with a number of opportunities to extend their learning outside of the classroom – theatre visits, field trips, foreign visits, conferences. Happy – a successful student is one that is happy in their surroundings. Friendly faces, supportive staff and a purpose built building. Support – we are able to provide a bespoke support service for our students. We look after their emotional wellbeing. Students who may be struggling are offered advice and guidance. A CVHS Sixth Former is one in 200 as opposed to 1 in 1000s (at college). We know most of you already (or will get to know you better). Careers guidance and applying for university are all given high priority. There is a document available on the Sixth Form Life page to help support your son/daughter whilst they are at Sixth Form. 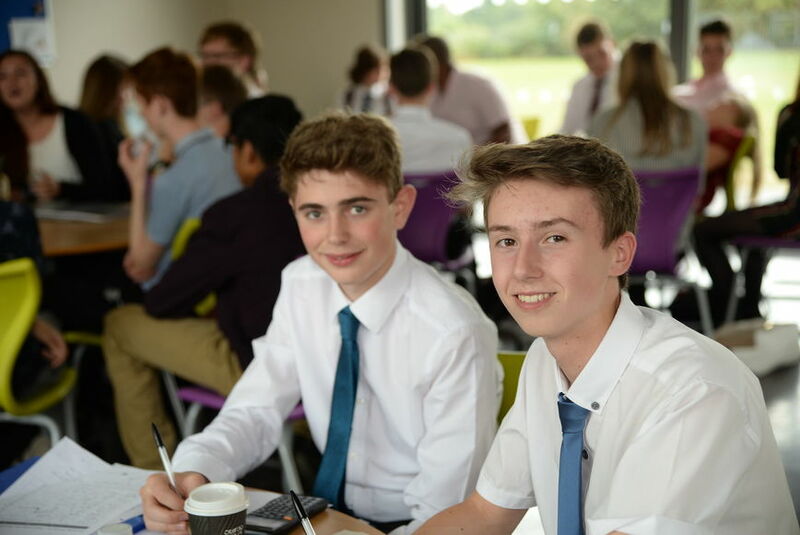 Every year the application process for joining the Sixth Form starts with our Open Evening in November which all young people and parents are welcome to attend, whether they are currently attending Chelmer Valley or not. The Sixth Form Open Evening is Tuesday 13th November 2018 6pm until 8pm. All students from any school are welcome to attend. Applications after this time are welcome from both our current Year 11 students and from external applicants. Careers guidance discussions take place between December and March. If you would like to be considered for entry into Chelmer Valley Sixth Form you will need to complete the application form and return to the Sixth Form Office. Applications will still be considered subject to class numbers not being exceeded. The new prospectus and application form will be available on the evening. A Level / BTEC teachers will be in attendance to discuss their courses. If you require any further information please contact Mrs Mills in the Sixth Form Office on (01245) 512351 or email cmills@chelmer.essex.sch.uk. The 2019 Prospectus and Application Form is available to download below.